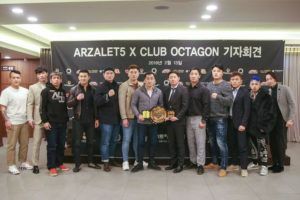 Real FC: ‘Arzalet 5 x Club Octagon’ went down in Seoul on Saturday night and had six knockouts, two submissions and only one fight going to the scorecards, proving that a small cage and a night club setting can accelerate activity. 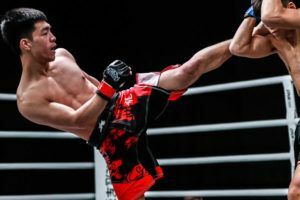 After starting out in Brazil, Arzalet Fighting had its third straight show in Seoul and did not disappoint the intimate crowd in attendance at Club Octagon. 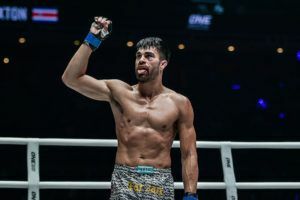 Marcos Souza got back to his winning ways in the main event and Carlos Toyota picked up the interim heavyweight championship in the co-headliner by submitting Zamirbek Syrgabaev. Souza had the honor of headlining his second event in ‘The Land of the Morning Calm’ and put away Lee Hyung-Seok late in the second round. 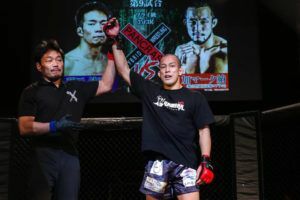 Even though he was facing a local fighter, his deep jiu-jitsu roots in the country provided him with a crowd that cheered his every move. From start to finish the Brazilian grappling wizard controlled the fight. About a minute into the action, Souza caught a kick and transitioned to a single leg takedown to put Lee on his back. The South Korean instantly popped up but during a scramble, Souza took the back. For the rest of the first round, Lee absorbed a tremendous amount of punishment while trying to stay out of submissions. Entering the second frame, Lee was wearing the damage on his face and Souza capitalized quickly with an overhand right. Looked to be rocked from the punch, Lee covered up and opened himself for an easy double leg. Although Lee attempted a ‘Hail Mary’ armbar, the elbow was not deep enough and his foe punched out the submission. After that point, Lee was on survival mode and not a threat. Souza moved methodically from full guard to side control to mount over a three minute period. Once Lenne Hardt broadcasted there were thirty seconds left on the clock, Souza poured it on and the ref jumped in to save the day. While Souza (8-1) bounces back from his first career loss over a gritty veteran, Lee (14-13) continues on his path of decline with his fourth straight setback. To much of everyone’s surprise, the co-main event of the night promptly was declared an interim title bout. The organization previously announced that a one-night heavyweight tournament would commence on this date. However, due to many of the scheduled matchups falling out, Carlos Toyota and Zamirbek Syrgabaev battled for the belt in a rematch. 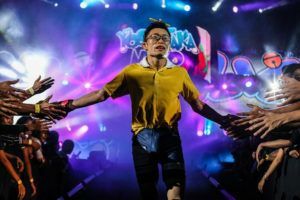 Syrgabaev landed first with a hard left hook that thundered through the tight-packed club and got the attention of Toyota. 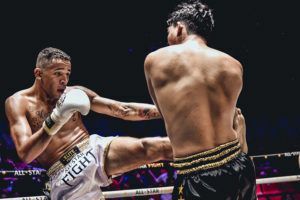 The Brazilian then alertly kept his distance to stay away from the powerful hands of Syrgabaev and kick the legs constantly. At the midway point, Toyota caught a kick and put Syrgabaev on his back. 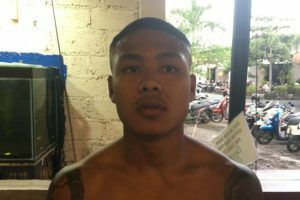 Toyota secured position on top and worked to advance while connecting on his opponent with thumping punches. Once in mount and with less than a minute left, he isolated the right arm and slid into an armbar to get the tap. 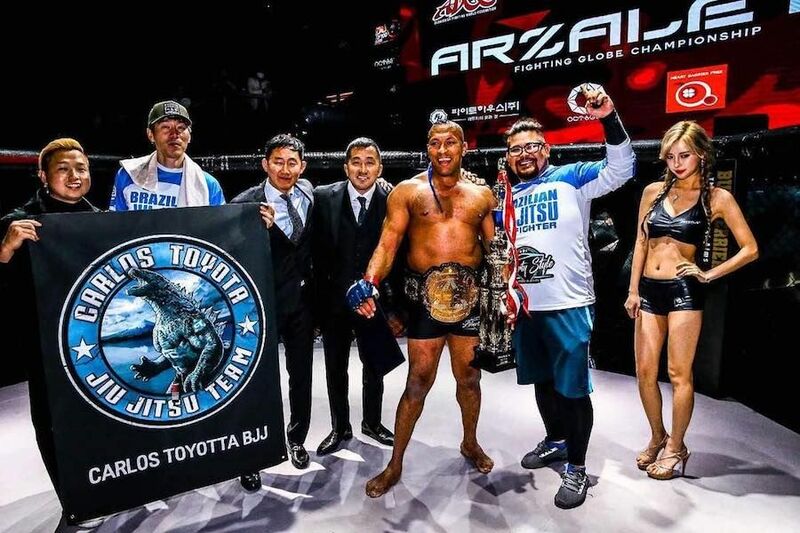 With this submission victory, the 47-year-old Toyota (9-10-1) gets revenge for a TKO loss at the inaugural event around a year ago as well as obtains the interim heavyweight title in the process. Meanwhile, Syrgabaev (11-10) snaps his two-fight win streak and losses out on another bid for a championship strap. 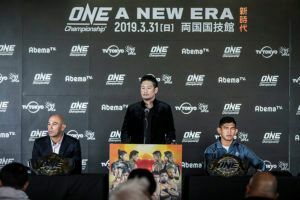 In other action, Masahiro Oishii (29-20-9) took part in his 58th career fight and submitted Jung Sung-Hoon and heavyweight newcomers Kim Eun-Jae (1-0) and Bae Dong-Hyun (2-0) showed promise by pounding out their opponents in the opening round.